Spell check, grammar check, synonyms, homonyms, rhymes, inspiration for your characters to quote – these are all nice references to have handy when you are sitting at your desk. Which leads us to ideas for the 5th Day of Pre-Christmas! Books that are tools. Yes, you can get a lot of information online, but online you need to know what you are looking for and type it in. With the book you can browse and discover things you didn’t know you wanted. “It’s so great out today it makes me feel great, and even greater would be a great cup of coffee.” Hmmm. What’s wrong with this sentence. That’s right, who wants to be caught in the mundane, repetitive loop of greatness. Thus your, handy Oxford Thesaurus! Sometimes I will browse the Thesaurus and come up with a list of words I want to incorporate into my book, or even next chapter. One might forget that the right word can make your coffee stupendous, spicy, surprising and even super. There are so many interesting choices to be had. Or let’s say, you can’t remember the work but kind of know what you mean. Another perfect time for your Thesaurus. 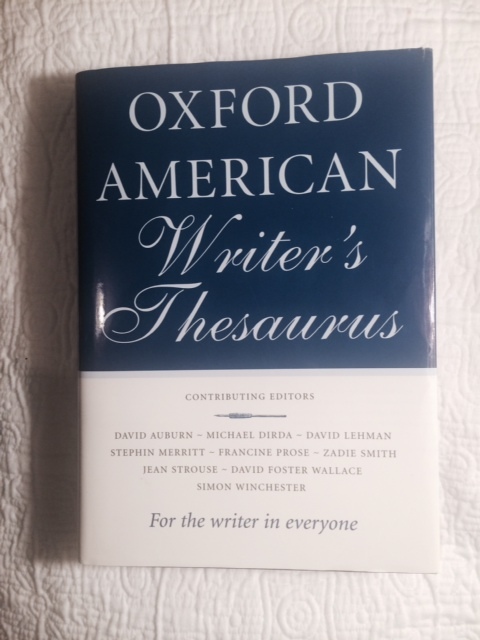 I love my copy of Oxford American Writer’s Thesaurus. You can get it new for $30.00. My favorite writing reference book. So many words to choose! 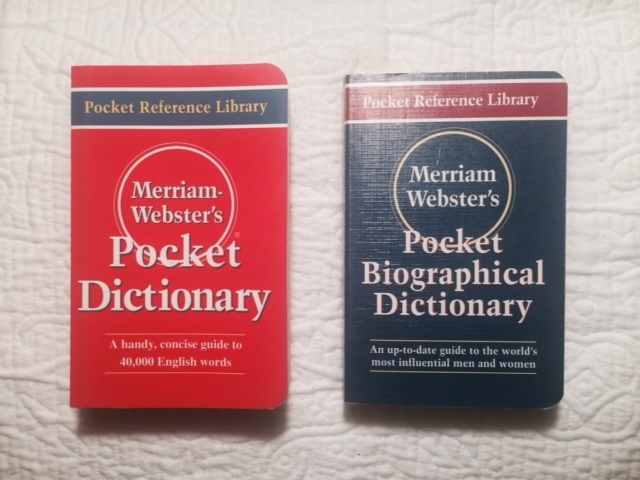 Now, of course there are online Dictionaries. I use them all the time. 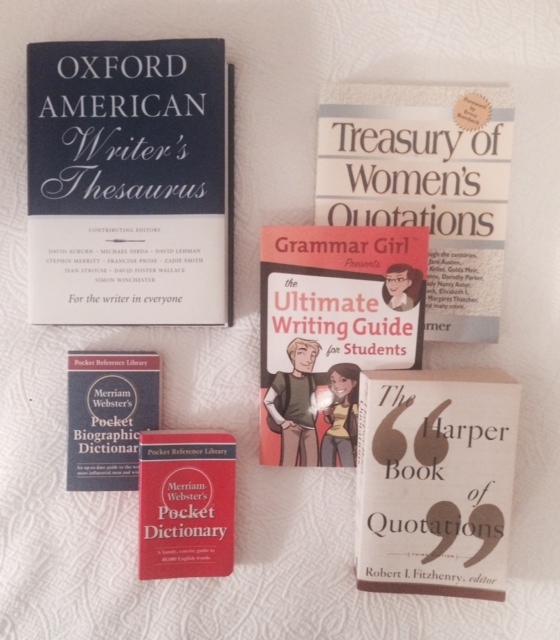 But a big, glorious tome of the English language, settled on your shelf or podium, is a writer’s dream! (I still don’t have one. If you can find them, those might run up to $150.00-$200.00. Great tools for when you are traveling, working in the coffee shop, or for the student. More and more writers are choosing self-publishing and frankly good proofing and copy-editing can be hard to find. Make sure you have the grammar guide for when you are trying to figure out if it’s sit or set, lay or lie, lead or led. It’s kind of embarrassing when we screw that up, but we’ve had a lot of knowledge shoved in our brain since 5th grade, so give yourself a break. 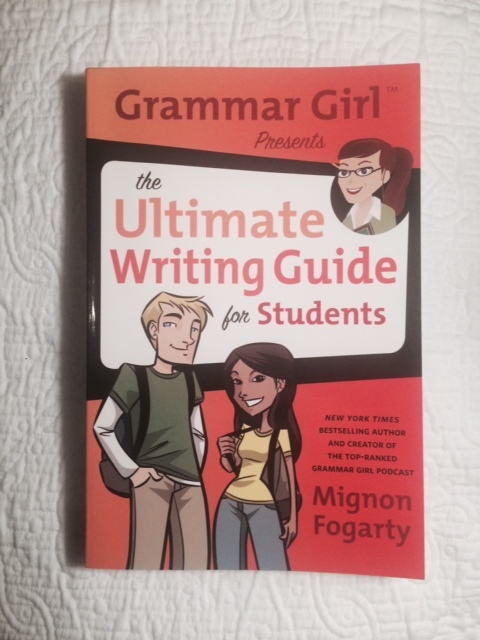 Grammar Girl, Woe is I – both great grammar options. Grammar Girl! to the rescue! Don’t send your draft off without it. If you think your writer friend must already have those things, then unique books with quotes are always refreshing – provided it’s not the gift you give every year. There are a lot of surprising quotes from people we’ve heard of and some we’ve never heard of and you never know which will be inspiration for the next character or book. Do hardcover for the big books. They are expensive, but will be fun to use, look great on a shelf, and feel very substantial. Quotes can be softcover. But if you can find anything with a velvet cover or unique texture, it might be worth checking it out. You really can’t go wrong with any books like these. Wrap them in brown paper or newspaper with straw ties or a big gold ribbon and they will feel very special to the receiver. 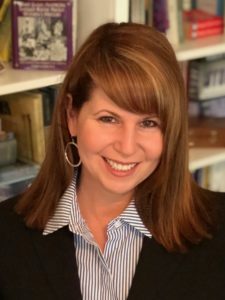 You might add stickies and mark 1 to 10 words in a dictionary or thesaurus that you think uniquely describe your writer friend and let them discover your Easter eggs later. Approximately $5.00 – $45.00 ranging from small paperback to large hardcover. Visit tomorrow for the 6th day of Pre-Christmas.